One of the elements that makes an event or particularly a wedding successful is the right lighting. You always think first about a location, flowers, dresses, risking of missing one of the most fundamental details: no one remembers an occasion which was held in darkness. 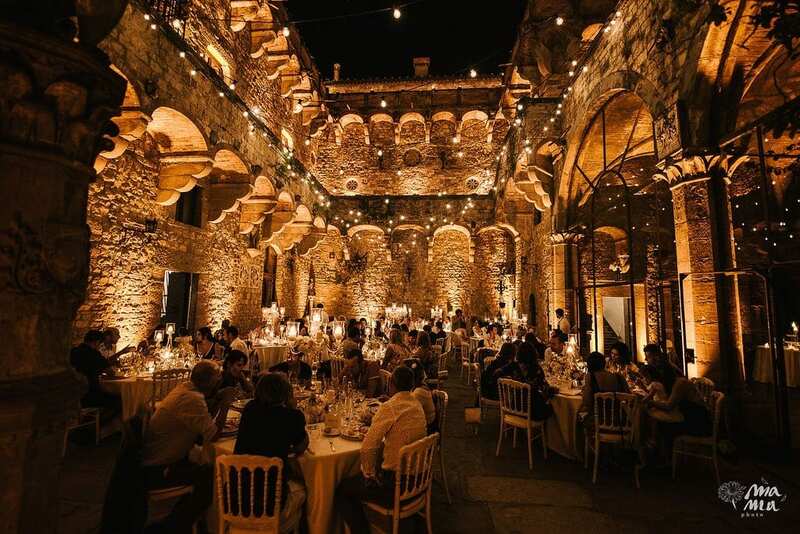 No matter where you are – in the castle or on the beach – it is important to have right lighting for not just to see “what is in the plate” but also to create a magical atmosphere that would make the celebration perfect. If this spectacular part of the wedding preparation is taking good care of, everyone would have beautiful memories of this night. Despite this, do you know how magical the photos become if the garden is lit with fairy lights? – explains below Marcello Costabile from Kaleydo, lighting and audio setting expert agency. While planning a wedding the lighting is not the first thing a couple care about. Can you please explain the importance of this element? Couple understands in a while the importance of lighting after talking with us. The question that we often ask our clients is: “How do you want to add a value and to make a focus on the beautiful flower compositions and all the settings that you have chosen with so much care, as well as stand out the venue?” Thanks for the phrases “to add value” and “make a focus” that lets people understand the usefulness of the lighting service. 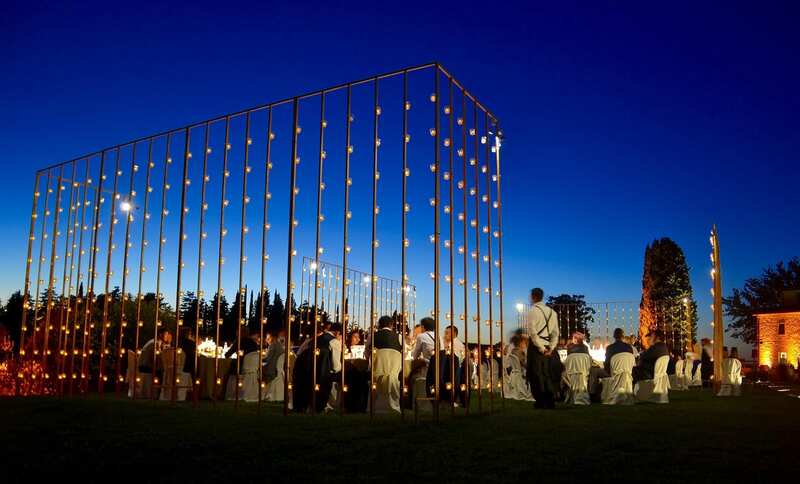 How is it possible to make an event memorable with the help of the lighting? There are many ways to “make the lighting” and it depends a lot from the location. For example, to lit the theatre is different from lighting a project such as a private, a corporate event or a concert. There is a world behind illumination: from the rows of bulbs or fairy lights to the hanging lamps in the garden! If we take into account only the wedding reception, the possibility to generate various combinations is infinite. That’s why every time we try to create a project as original as possible to make it unique. In case the budget for the lighting is small what the couple should definitely not decline to create an impressive atmosphere? The two definitely not missing moments are - the cutting cake and the party. What are the latest tendencies in the settings of the internal hall and the external spaces? To my mind, every setting that is made with taste, creativity and elegance creates a tendency. Together with our light designer we search for inspirations throughout the world, create our own project and propose it to our clients. Every culture has its own cultural habits and tendencies. Depending also on the nationality of a client we have to find the perfect solutions that will create emotions and guarantee the couple a perfect wedding day.